DPM is dead, long live MTP! | Strike - Hold! DPM is dead, long live MTP! According to the latest update from the UK MoD, the Combat Soldier 95 (CS95) clothing system has been replaced by the new Personal Clothing System (PCS) – and at the same time, woodland and desert DPM are to be completely replaced by the MutiCam-derived Multi-Terrain Pattern camouflage. The new clothing system will start to be issued to units from early 2011 in accordance with Front Line Command (FLC) fielding plans and will start to be issued to new recruits from October 2011. The roll-out will be complete to most personnel by April 2013. The PCS consists of combat uniform (CU), ancillary items (AI) and waterproof clothing. Combat uniform replaces the camouflage lightweight jacket, trousers and windproof smock while ancillary items and waterproofs replace the t-shirt, Norwegian shirt, fleece and waterproofs of the current CS95 system. All camouflage items will be in Multi-Terrain Pattern (MTP). Other items will be in Khaki. Since the introduction of CS95 in 1995, combat body armour has now become mandatory wear for personnel both training for and deploying on operations. As a result, while the principles of CS95 still apply, the design of the clothing items needs refreshing to reflect the changes and lessons learnt from operations. This also allows changes resulting from developments in material technology to be incorporated. All camouflage clothing items will also change to MTP camouflage. Combat footwear is not part of the PCS but a separate competition to replace the combat assault boot is underway, allowing delivery in 2012. The design principles of CS95 as a layered system of clothing allowing flexibility for temperature regulation remain extant. This has been retained in the PCS; however, it recognises the increased requirements for protection, both in the integration with body armour and incorporation of extremity protection and fittings for potential combat identification systems. The PCS consists of three distinct elements that will be delivered separately. • Lightweight Jacket. A shirt that can be worn over a thermal or sweat-wicking layer. It can be worn either tucked into trousers or loose depending on environmental conditions. In order to allow body armour to be worn over the top (in temperate conditions) buttons have been removed and replaced with Velcro and a zip. Chest bellows pockets have been replaced with map pockets with pen and notebook/compass stowage. Bicep bellows pockets have been added to arms to allow stowage of ready access items when body armour is worn. In addition, pockets have been added to the outside forearms and elbows to allow for additional fragmentation/bump protection to be fitted if required. The collar can be secured up when wearing body armour to reduce chafing. The bicep pockets have ‘touch and close’ panels to allow combat ID badges to be fitted if required. A blanking plate protects the touch and close fastening while also allowing non-tactical badges (eg tactical recognition flashes) to be fitted while being removable in the field. • Combat trousers. Thigh map pockets have been angled to allow easier access. A secure pocket has been added to waist pockets to allow stowage of small items. The draw cord has been removed. A seat panel has been added to reduce wear in the crotch. Map-pocket buttons have been shrouded to reduce snag hazards. • Windproof smock. The design of the existing windproof smock has been retained as an outer garment principally for when body armour is not being worn. A mesh drop liner and armpit vents have been added to help with thermal regulation. Buttons have been shrouded to reduce snag hazards. Behind the waist pockets, fleece-lined handwarmer pockets have been added. The windproof smock incorporates the same bicep pockets as the lightweight jacket. • Rank slides. No change to the current design. Only low-contrast, all-arms rank slides are to be worn on MTP. Regimental/high contrast rank slides for wear in camp are to be on plain/regimental backgrounds. • Helmet covers. No change to the existing range of helmet cover design, although an update is in development. • T-shirt. Base layer, providing both thermal insulation and sweat-wicking. Based upon the current operational hot-weather t-shirt. • Underwear. Sweat-wicking, anti-microbial unisex undershorts based upon the existing operational underwear. • Thermal shirt. A micro-fleece base layer shirt with zippered collar (replacing the CS95 Norwegian shirt). • Thermal smock. A micro-fleece-lined mid-layer, with windproof and showerproof outer, to provide increased insulation under the windproof smock (replaces the CS95 fleece). • Under Body Armour Combat Shirt (UBACS). A sweat-wicking torso with lightweight jacket sleeves and a zippered neck for wear under body armour in hot weather environments. Various different designs of waterproof garments are currently being assessed as part of the ongoing development of the PCS with an expected fielding date of 2012. All items will be in MTP. A review of the need for specific female designs is underway and results will be trialled accordingly. These will be rolled out separately once designs have been finalised. Units will change to the new CU over three years from Spring 2011 in accordance with FLC fielding plans. In order to control expenditure, task issues to units will be spread over three financial years before units will be allowed to demand items direct. Issuing to recruits will begin in the second half of 2011. Unit CS95 stocks will be withdrawn and reissued to units later in the fielding plan to minimise waste. Ancillary items will be available for issue from mid-2011. They will be issued in bulk to recruits along with issues of CU. Personnel previously issued with CS95 will only receive the new ancillary items for operations or to replace CS95 equivalent items that have worn out. Current CS95 ancillary items are fully compatibe with the PCS CU and will remain in use as long as stocks are available. Hot weather CU and ancillary items will be issued to personnel deploying on Op HERRICK 15 and to other operations or overseas training exercises from mid-2011. Hot weather clothing will be of the same design as the temperate combat uniform but in a lightweight, breathable cloth. The permanent treatment of hot weather clothing with insecticide is being developed. You’re currently reading “DPM is dead, long live MTP!,” an entry on Strike - Hold! The MoD said a while ago that Desert DPM is not being completely replaced by MTP. It will be retained for true desert environments. They also said initially that MTP was only going to be used in Afghanistan and that DPM would be retained for tropical and desert environments. But they say in this release that MTP is going to replace both woodland and desert DPM. The MOD probubly came too the conclusion that cost wise MPT was cheaper then MPT and D-DPM together. getting everything in one pattern also means that is always looks the same, that works in Garrison as well as the field. To be honest I am not really surprised by the change. they adopted a more effective pattern well still keeping it John Bull. New Zealand seems to follow British trends, as far as their military goes, so I hope (being an ex-pat Kiwi and with an infrequent eye on what goes on NZ) that NZ goes MultiCam too instead of that ridiculous “NZ DPM” they use – also used by Yemeni forces for some reason too (the only ones who do). Come on NZ – get with the program! If UK does it, so should you. Grow up and cut that tie, like we did in Australia. You don’t need it. NZDF/NZ Army as of current and foreseeable future will not be adopting MTP or Multicam. Currently we have no outstanding operational requirements for a new or different camo as our current desert and NZDPM are very effective where currently used, plus we don’t really have funds to overhaul uniforms to such a degree, they even just recently contracted uniforms to be manufactured in China as opposed to locally to cut costs. I know the NZSAS rotation in Kabul are wearing Multicam but that is part of their own internal operational issue and not reflective of wider NZDF. As stated this “ridiculous” NZDPM we have for woodland and general use in it’s most recent evolution the 2007+ NATO uniform cut and camo variation are extremely effective locally and all places we are deployed. The slight variation of Desert DPM we use is also as effective as can be as Bamiyan where we are deployed has little-to-no green zones hardly and consists of majority arid conditions consistent with most environments within the Hindu Kush mountains which are best suited for Desert DPM to be effective. The Yemani forces DPM is also nothing like current issue NZDPM and bares only slight resemblance to the very old tropical 80’s/early 90’s “diesel pattern” dpm which was removed from issue around 1996. 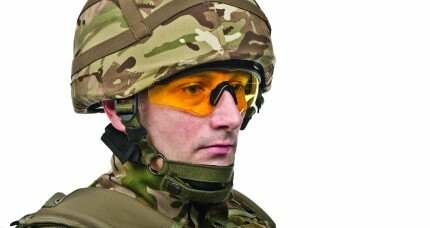 As much as MTP/Multicam looks cool and even I would like to use it (I even managed to get myself some for my own personal trial to compare, which basically gave same results as in the article above), for wider issue I just can’t see it being justified by top brass when it’s not urgent like it was for the BAF/US military. Very interesting. Thanks for that info. I am very curious now – what is different between the current NZ DPM and Desert DPM with the previous versions you mentioned pre-2007 (? if I understood that correctly) By the way, I live in Australia and I am no fan of our “Hearts and Bunnies” either and even though it is supposed to be for our terrain I find Flecktarn works better (at least in the bush here in NSW) for Paintball anyway. I have a Multicam loadout which I have just got together which I havent tried yet. It is in the Multicam copy that comes out of Asia.The Multicam in the middle of that picture you got is the same stuff (has the dotted feathering effect which stops them from getting sued by Crye Precision.) I don’tknow whether it works any better or worse than real MultiCam. Even though I lke Multicam and I feel any DPM is kind of “outdated” when compared to the pixel camos like MARPAT and CADPAT or Flecktarn or Multicam, or the stuff they use in Jordan (awesome!!!) I can;’t argue with whether any sort of DPM is effective or not and of course fundamentally that is the real test. From what you said I am a bit disappointed that NZ is efectively agreeing to be “behind the times” with that decision not to modernize, but that is just my opinion. Just as a note I have a UCP loadout too and it is absolutely USELESS in Aussie bush. It took 6 years for the US Military to finailly acknowledge that UCP is “wholely ineffective.” About bloody time! The US troops always looked like blokes and sheilas running around in some sort of antique sofa fabric or wearing 1970’s house wallpaper! I’d take NZ DPM over UCP any day! Sorry can’t reply directly, there’s no reply link so apologies if formatting is a bit off. Just to elaborate, the differences are only minor in recent revision which caused different colouring due to the older pattern being on the standard cotton/polyester which had the browns show up more red brown as opposed to a more vivid “bark” colour earthier brown I forget the literal name they used for the palette and also the tussock/light brown area (which are pale olive on old british woodland DPM) are now more a coyote colour darker colour instead of lighter khaki and stuff like that…natural evolution and improvements pretty much. They’re now made with same material 70cot/30poly but of “rip-stop” type. If you Google the changes you can probably see more in depth explanation…but basically we now have uniforms with improved camo/IR signature cut with same NATO style cut as Australian army uses (zips + button, verticle zip breast pockets, centre rank slide and ripstop material velcro mandarin collar) minus the shoulder pockets with velcro for patches instead. Would also note the NZDPM was based mostly on the pattern from dutch dpm interestingly enough haha. As for desert uniforms they faced the same sort of changes when they introduced new cut uniform and it is same colour as british S95/2000 desert however has more brisk dutch dpm looking strokes. Should also note that my earlier image I posted was more a comparison with MTP (not specifically the multicam) and it’s genuine British Army issue [Shirt = NSN: 8415-99-667-4233 / Contract No: DC2CESL/3219] although it’s of the earlier version cut CS95 style uniform not the nifty one in the above article (still buttons mostly etc). As far as patterns go, it depends on a diverse yet common reoccurring flora/environment like in Australia with the Auscam most the time anywhere but in Australia it stands out like a clown suit because it was designed with low level rocky and light spotted blending as most common and easiest with the vast majority of Australia’s environment. This is very similar to flecktarn as you mentioned although in Germany they deal with same low level foliage it’s more forestery based and adapted due the darker tones and things while also implementing what digital camo was intended for by breaking up the visual signature too. Here in New Zealand we have a lot more thicker bush, scrub and tussocky landscapes to deal which which are better broken up with slash/dash type camos such as DPM. Digital camo like CADPAT, woodland Marpat etc do work to a degree but only from a distance where the digital pattern kicks in by deceiving the human eye up close the stand out a lot more then DPM. Multicam and MTP are really just a congregation of all technologies and lessons learned world wide from all camos around the and fit a single medium that can adapt well to a vast majority of environments as opposed and is effected by things like lighting and also including new digital blending style camo and things which is what A-TACS camo is working with developing. Oh and a heads up, Australian army will probably be deploying multicam soon if not already as a UOR to regular forces since they flip flopped with the mid point auscam in Afghanistan I believe so It could well turn up to be the new uniform for the ADF or at least army. And I do agree that it’s amazing that UCP took this long to recognise it was a complete disaster. “… Would also note the NZDPM was based mostly on the pattern from dutch dpm interestingly enough haha…..” Yes, I see that. Very similar. The Yemeni DPM which was supposedly NZ DPM does look like the older NZ DPM you described. I can’t really tell the difference between the Dutch and NZ DPMs, to be honest. Is there supposed to be a difference there? I am surprised that Tigerstipe was not utilized by the NZ Military. Per my own reasearch there seems to be a consensus that Tigerstripe works well at close quarters and visually has a similiarity to DPM by way of the brush stroke effects common to the two. Tigerstripe was used by the NZ Forces in Vietnam, and the current USAF uniform is a revamp of Tigerstripe, and even in 2004-2005 US Navy Seals were using a Desert version. So there must be some merits to it since it is still kicking around today and is still held with regard. The digitalized camo concept is for distances. Up close those digital camos, in my understanding, aren’t so good. I find the Flecktarn to work well both in close quarters and at distance. Not all Australia is desert. We have bush too and the Auscam (in my opinion) is not as good as Flecktarn in the bush here. “… including new digital blending style camo and things which is what A-TACS camo is working with developing…” I had never heard of A-TACS. How did you hear about that? Damned interesting that. I spent some time looking that up. Interesting what they say about the digitalized approach not being effective. Seems to support the Flecktarn approach as well. We are seeing more and more pics of Aussie troops in Multicam. Looks like you are right there. Very interesting what you said. Enjoying this.